At times, the Tiffanie is confusedly written as “Tiffany” and sometimes mistaken for the Chantilly cat breed, whose other name is “Tiffany”. A completely different breed, the Tiffanie Cat first emerged in the mid-1980s. 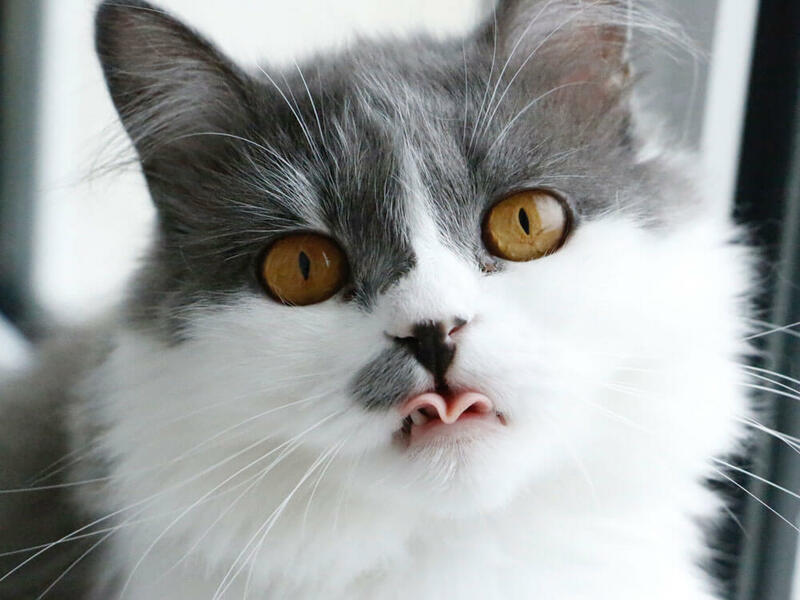 It is a variety of a semi-longhaired group recognised by the Governing Council of the Cat Fancy (GCCF) under the Asian Group. With a luxurious semi-long coat, the Tiffanie exudes beauty and elegance. It makes for an ideal pet for families, individuals or a young couple. A number of cat clubs and breeders are devoted to developing the breed with the highest possible standard. Called in the early days as Australian Tiffanie, it was first recognised by the GCCF in 1989. The Tiffanie is the outcome of the experimental breeding programme for the Burmilla in UK. 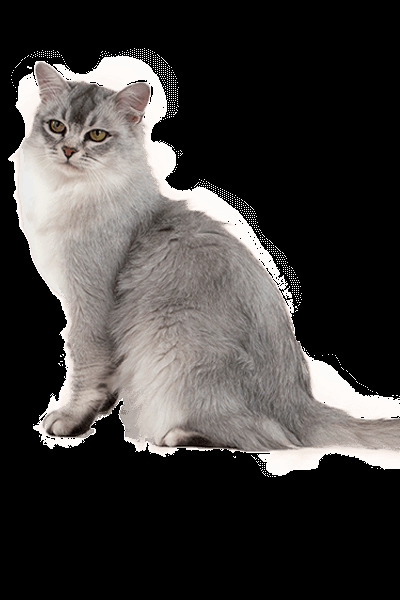 The main aim of breeding Burmilla, which came from an unintended mating between a Chinchilla and a Burmese, is to have silver shaded Shorthairs. However, kittens having semi-longhaired type of Burmilla came out. As such, the Tiffanie Cat got its shape and coat texture (but not its coat colour, pattern or length) from the Burmese cat breed. As it did not meet the goal, it was not given enough attention, until certain breeders took interest in its luxurious coat. They decided to further develop this particular feline type as a separate breed. In 1999, the Australian Tiffanie was recognised in New South Wales. Years later, it gained its Championship status in 2003. Despite the only semi-longhaired cat belonging to Asian Group, the Tiffanie participated in the Foreign Shorthaired Section of a GCCF show. The Tiffanie breed is a naturally occurring longhaired that was born through the shorthair programme of the Burmilla. A longhaired cat coming from a shorthaired cat is unsurprising considering the Burmilla’s parent breed, the Chinchilla, which is a strikingly white longhaired feline. Being a medium-sized cat, a Tiffanie male weighs between 12-14 lbs and a female slightly less. A Tiffanie Cat has a silky coat longer at the ruff with a white undercoat, furnished with a plume-like tail. One of its striking features is having the mascara-type outline of its eye that is inherited from the Chinchilla. The eyes are luminous, large, and set wide apart with eye colours that can be anywhere from yellow to green. The body build is similar to the Burmese. It now follows the common coat patterns under the Asian Group of breeds such as Smoke, Tabby, Tipped, and Self which is a particular solid colour. The tabby pattern includes spotted, classic, mackerel, and ticked. Further, it inherited its silver shaded pattern from the Burmilla. A Tiffanie Cat’s temperament comes from the ancestry of its parent, Burmilla. It can be as laid-back as the Chinchilla or as outgoing and demanding as the Burmese. It is more relaxed and laid-back than other Asian cats. The Tiffanie is suitable for apartment living and will be waiting at the door for its owner to arrive from school or work. It is advisable to give the Tiffanie a feline companion because it has a tendency to feel lonely. It also has enough tolerance for young children who will handle it with respect. This feline is also known to be a lap cat and would ask a cuddle or two. Tiffanie kitten enjoys playing with a variety of toys and loves playing “catch” and engaging in fun activities. This breed requires grooming, a regular brushing and combing. Follow a grooming schedule to keep the hair free from knots and to remove occasional dead hair. The Tiffanie Cat should be provided with a proper diet according to its nutritional needs. It should consistently take the same food following the same feeding schedule. If there are changes to its diet, those must be done gradually to prevent digestive problems. To avoid a stomach upset, do not give it cow’s milk. Instead, a bowl of water should always be available. The Tiffanie Cat’s average life expectancy could last up to 17 years. It does not have known breed-related health problems recorded at the moment. Much like the other cats, it needs annual vaccination boosters against common feline diseases. Though its ancestor, the Chinchilla, is prone to Polycystic Kidney Disease, the Tiffanie’s health test remains negative at present. Ensure that this feline gets enough exercise and its diet managed well to prevent it from becoming overweight. Being a playful breed, it should be provided with toys and activities that will also challenge its mental abilities. A Tiffanie Cat for sale remains uncommon in the UK because it is a breed still in the process of being recognised by renowned cat associations. A Tiffanie kitten for sale costs an average of £230 to £350. Food costs may range from £15-£20 each month. For vaccinations, boosters, annual checks and other veterinary costs, pet care costs may add up to more than £500 each year. Is a Tiffanie Right for You? A Tiffanie Cat can slightly handle over-enthusiastic children. This cat can be laid-back or an outgoing pet. It is advisable to give this pet a feline companion. It is not demanding, but it still needs your company. It does not shed heavily, but it should follow regular brushing. It’s a lap cat by nature.